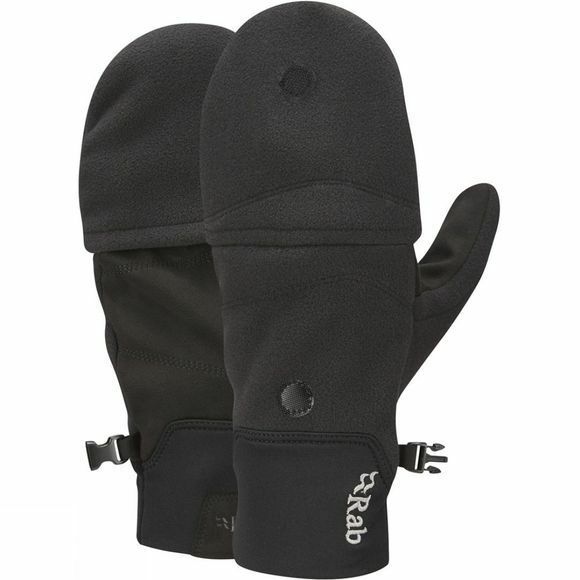 The Windbloc Convertible Mitt from Rab is a must have for any man's winter collection. It uses Polartec Windbloc technology with fleece lined PU suede to ensure that your hand is not only warm, but windproof. The backhand and fingers are breathable to ensure your hands don't over sweat.